Look at what you create and you will know who you are,” said the Pikes Peak Poet Laureate Jim Ciletti at the closing session of the 2010 Southern Colorado Sustainability Conference & Expo. Fort Carson explored the topic of personal sustainability and resiliency at the conference Nov. 18-19 at the Antlers Hilton in Colorado Springs. “What we are creating at (Fort Carson) is a sustainable community full of resilient people who have a desire to thrive in a clean, healthy environment, and contribute to building a vibrant, local economy,” said Alicia Archibald, one of the conference planners at Sustainable Fort Carson. 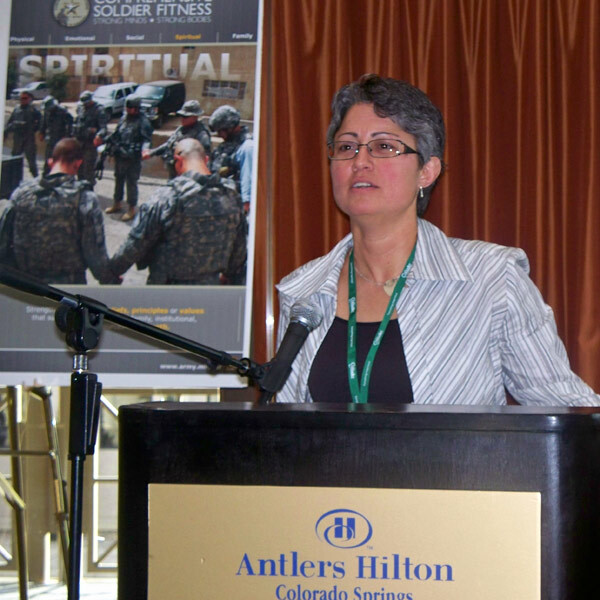 Alicia Archibald, Sustainability Planner, US Army Garrison Fort Carson, facilitates personal sustainability sessions at the 2010 Southern Colorado Sustainability Conference & Expo Nov. 18 & 19 at Antlers Hilton. Sessions were focused on Strong Bodies, Strong Minds, Strong Families and Resilient Workforce. Garrison Commander Col. Robert F. McLaughlin introduced each session. 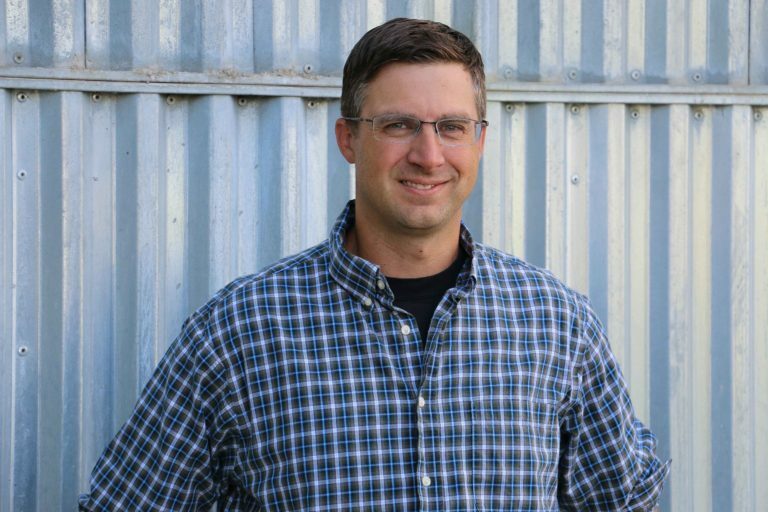 “In order to operationalize sustainability on the installation, as well as inspire and motivate our surrounding communities, we are shining the light on health, wellness and resiliency of our Soldiers, Families, civilians and community,” he said. Topics included spiritual, mental and physical fitness and health of Soldiers, their Families, civilians and the community as a whole. Speakers and panelists discussed the connection between personal sustainability, the environment and the mission. Simply stated: A healthy environment sustains Families. Healthy Families sustain Soldiers. Healthy Soldiers sustain the mission. The various military and community resources in the Pikes Peak region that work to develop a resilient, thriving community were discussed. Col. Thomas Vail, deputy director, Comprehensive Soldier Fitness, joined the conference from Department of Army Headquarters to give a presentation of the CSF program. 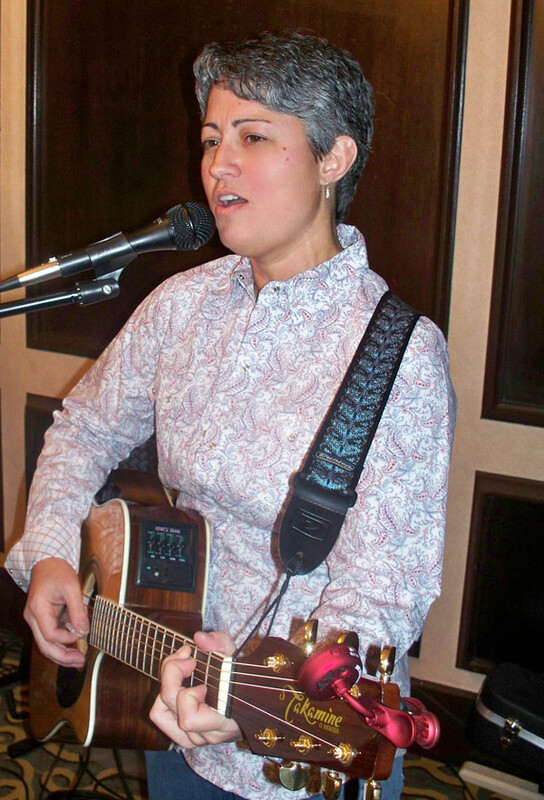 Singer Guitarist Alicia Archibald and band performed during the 2010 Southern Colorado Sustainability Conference. Additional featured speakers included Paralympics silver medalist and associate director, Community and Military Programs, John Register, from the United States Olympic Committee; Col. Todd A. Heussner, 4th Infantry Division Rear Detachment; and representatives from the U.S. Army Public Health Command, Evans Army Community Hospital, Army Community Service, Fort Carson’s Behavioral Health and Substance Abuse programs, El Paso County Department of Health and Environment and Aspen Pointe Enterprises. “Sports has a dramatic impact on our overall health. Not only does it foster teamwork, accountability, and play; it also sustains our way of life by allowing us to enjoy a better quality of life,” Register said. Sustainability is not only about protecting the environment, said Brig. Gen. James A. Doty, senior acting commander, 4th Infantry Division and Fort Carson. One of the outcomes of the conference is that Fort Carson’s sustainability team has forged new relationships and explored many resources to support ongoing efforts to achieve a resilient and sustainable community. “The sessions have created a solid foundation from which to build a program that will be a model for the Army,” Archibald said. 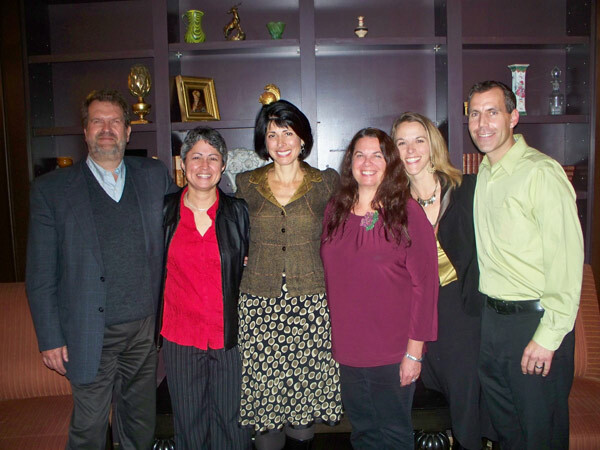 Sustainable Fort Carson team, including past members, from left to right: Christopher Juniper, Alicia Archibald, Anneliesa Barta, Mary Barber, Sarah White (now with Pikes Peak Area Council of Governments), and Frank Kinder (now with Colorado Springs Utilities). Not pictured here is team member John Olson.